“A masterclass in how to get it right” Good Food Guide 2018. 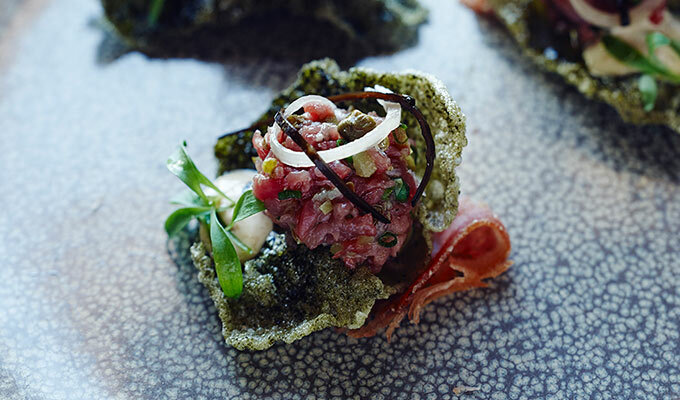 Regarded as one of the best restaurants in Australia; Lake House is a world class destination for travellers seriously interested in food and wine. 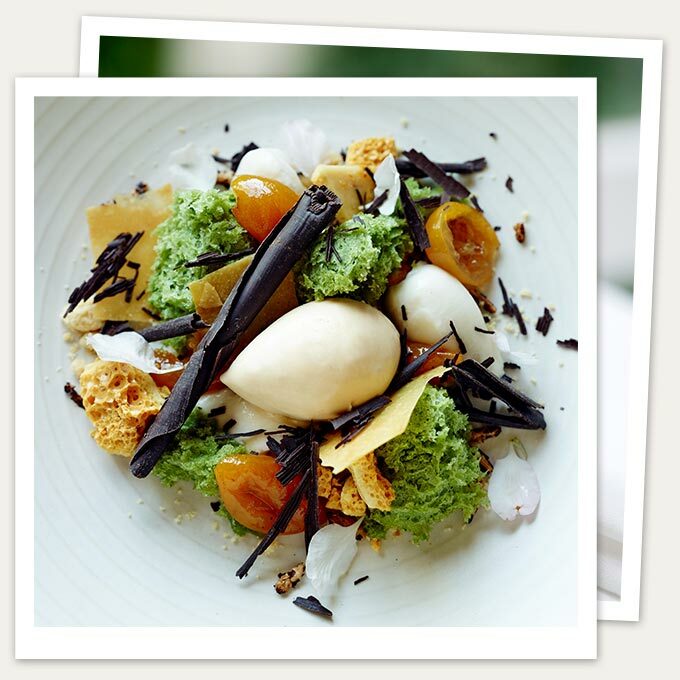 With a multitude of awards to its name – it’s a regular on the list of top restaurants around the country and current holds 2 Chefs Hats, Australia’s Best Food & Wine Experience, Australia’s Bes Wine List ( Hall of Fame) and Australia’s Top Ten Restaurants. 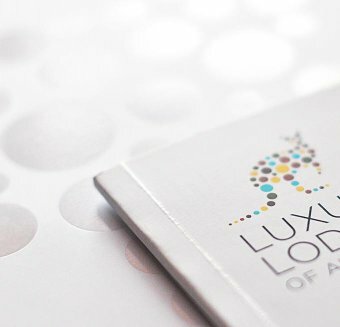 A tasting menu, vegetarian tasting menu and full a la carte menu provide plenty of options for guests staying more than 2-3 nights. In fact it’s not uncommon for a two nights stay to extend – if only to sample another delicious meal from the kitchen. 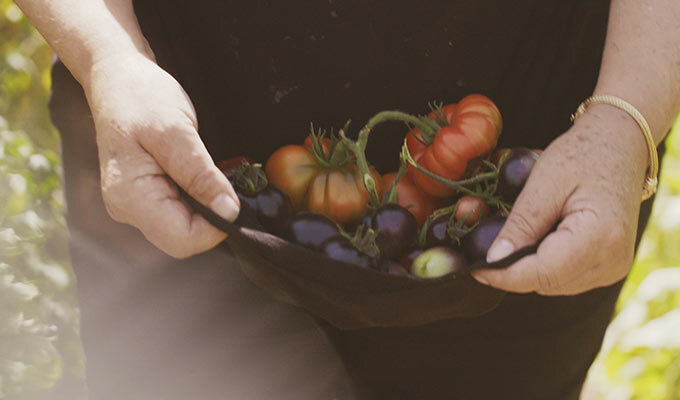 Contemporary dishes, inspire even the savviest and most well-travelled palates and the Lake House kitchen philosophy of working from the ground up and with the best available seasonal produce means that travellers get a real sense of the best Australian produce on the plate. The picturesque Lake House dining room – airy and with glorious views by day and moodily lit and romantic by night serves lunch and dinner daily and breakfast for in house guests only. Grab a seat in the plush Argyle Library Bar for bespoke seasonal cocktails. 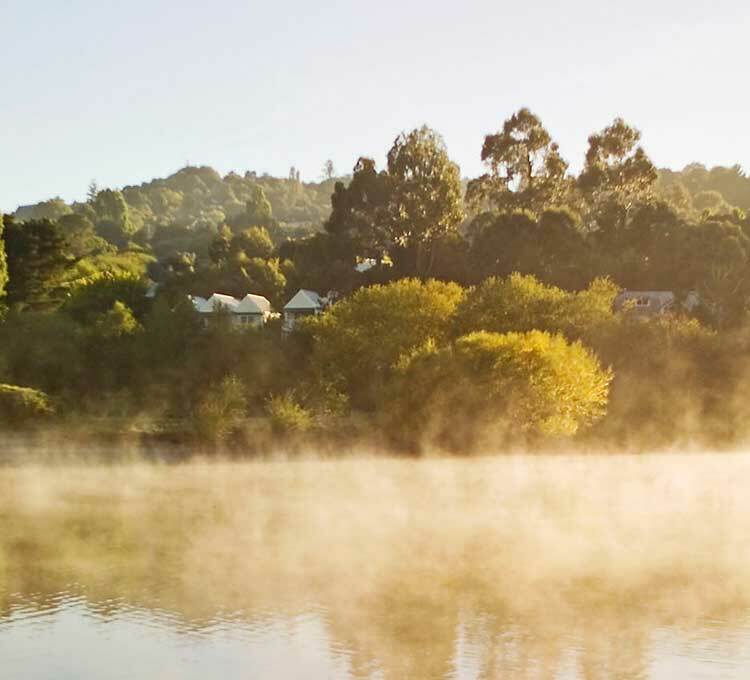 Or in the warmer months enjoy the views from the Lagoon Deck overlooking lake Daylesford. Private dining for groups is available in the Cellar Dining Room where the locally crafted hand adzed oak table seats up to 16 guests. The wine list which features almost 1400 different labels is tended to by a passionate team of hospitality professionals; this is no afterthought – the carefully curated list features some of the most sought after wines in the world as well as great examples of local Chardonnay, Pinot Noir, Shiraz and Cabernet. Their offsite sister café Wombat Hill House offers casual country fare in a magical setting in the midst of Daylesford’s beautiful Wombat Hill Botanic Gardens. Sitting high on an extinct volcano overlooking the village, it’s a great place for a stroll or bike ride. 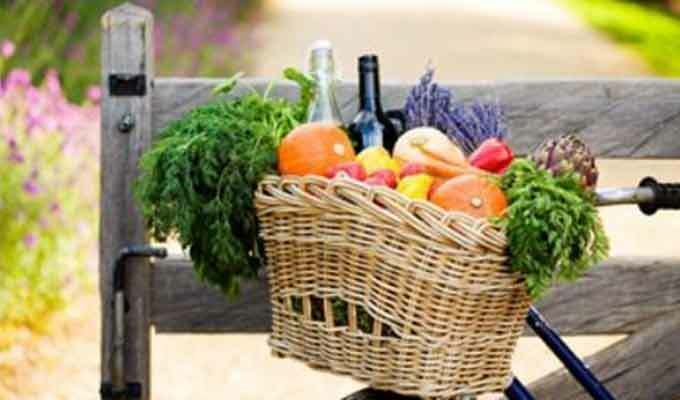 They also offer picnic baskets and blankets so you can take full advantage of the seasonal beauty of the gardens. 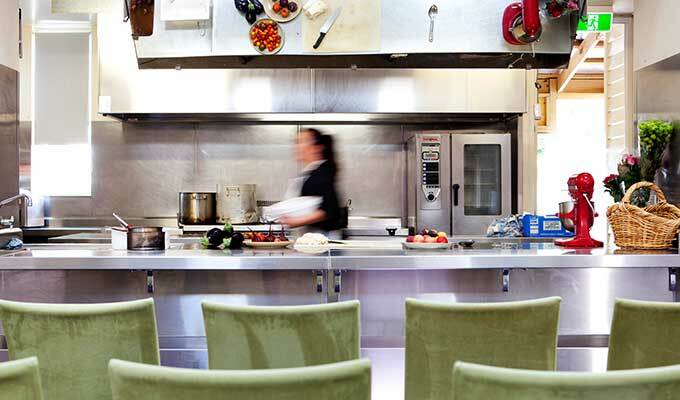 Cooking School - Learn from some of Australia's most interesting chefs, producers, growers & winemakers plus get hands on tuition in contemporary cooking techniques from senior chefs of the award winning Lake House kitchen team. Check out the 2018 Lake House Cooking School Calendar of events. Lake House: Three Decades On – A Book by Culinary Director Alla Wolf-Tasker AM - Australia’s much loved regional icon of great food, wine and bespoke hospitality, now in its fourth decade, continues with its multitude of top listings in premier award lists. In this book, Alla Wolf-Tasker shares her love for the region and Lake House, her admiration for great producers both local and across Australia, with wonderful recipes, captivating stories and magnificent imagery. Available May 2018 – buy online here. Forage & Feast is an activity and indulgence packed two-night retreat for groups of six or more food and wine lovers. Including a region scavenger hunt around the producers, some hands on time in the kitchen and plenty of great food and wine – it’s a challenging and delicious way to explore the Daylesford Macedon region.